On The Strain Season 3 Episode 10, there's a last ditch effort to defeat the strain while the Master reveals himself and initiates the end game of the battle. On the Strain Season 3 Episode 9, New York City begins to fall while Eph and Dutch try to finish their new device before the city becomes overrun. On The Strain Season 3 Episode 6, the Master's voice emerges and proves to be overwhelming, while Quinlan agrees to a deal with the Ancients. 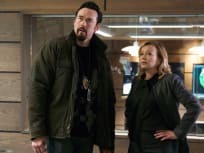 On The Strain Season 3 Episode 7, Palmer fights for his life, Setrakian creates a new plan to trap the Master and Eph and Dutch search for the Master's voice. 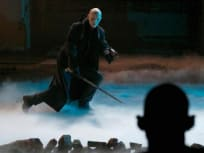 "The Battle of Central Park"
On The Strain Season 3 Episode 6, Justine attempts to drive the strigoi army out of Manhattan for good when Fet strikes at the heart of the army. On The Strain Season 3 Episode 5, Eph's new experiments take him to the brink of sanity, while Setrakian to seek out lifelong rival Eldritch Palmer for help. 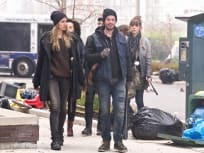 On The Strain Season 3 Episode 4, a new phase of the infection appears and Justine begins to build a new army, while Eichhorst plans a counter attack. On The Strain Season 3 Episode 3, Gus and Angel try to hide a secret houseguest from a police sweep while Quinlan's reasons for vengeance comes to light. 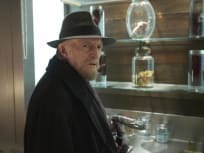 On The Strain Season 3 Episode 2, Palmer seeks answers for Setrakian's secret blood treatments, and the Master plagues Eph when he offers to return Zack. 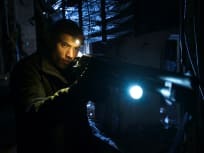 On The Strain Season 3 Episode 1, Fet helps the Navy seals on a deadly mission through the underground tunnels of New York, while Eph's son is abducted. The Strain Season 3: Faster Pace, Battle For New York...Vamps Boom?!?! The Strain Promo - "Night Train"